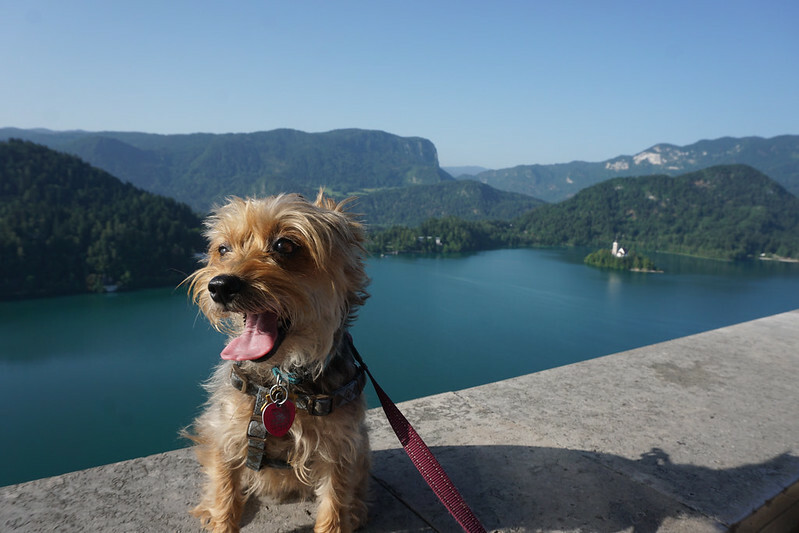 Since leaving the states to travel full-time, Luna the traveling pooch has been to 16 European countries (and 20 countries overall). 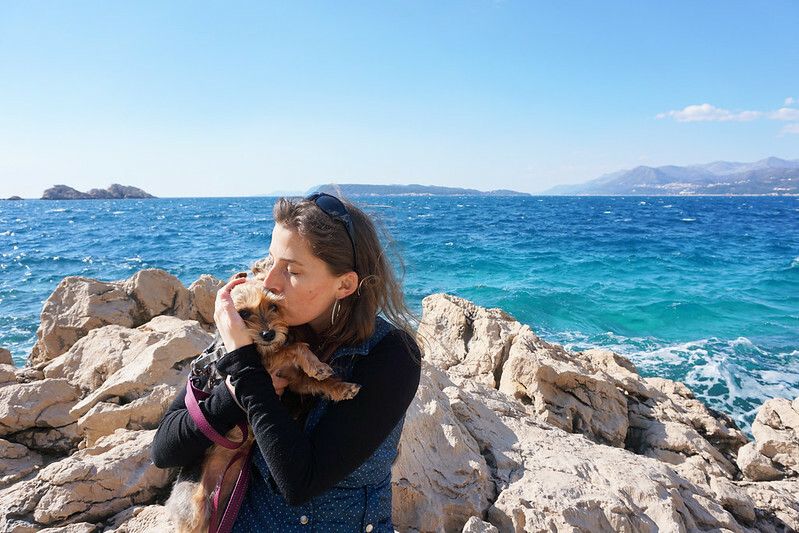 Now, we still have plenty of Europe left to explore, but since we’ve been to so many places, I thought it might be useful to my fellow with-dog travelers if we did a bit of comparing and contrasting. 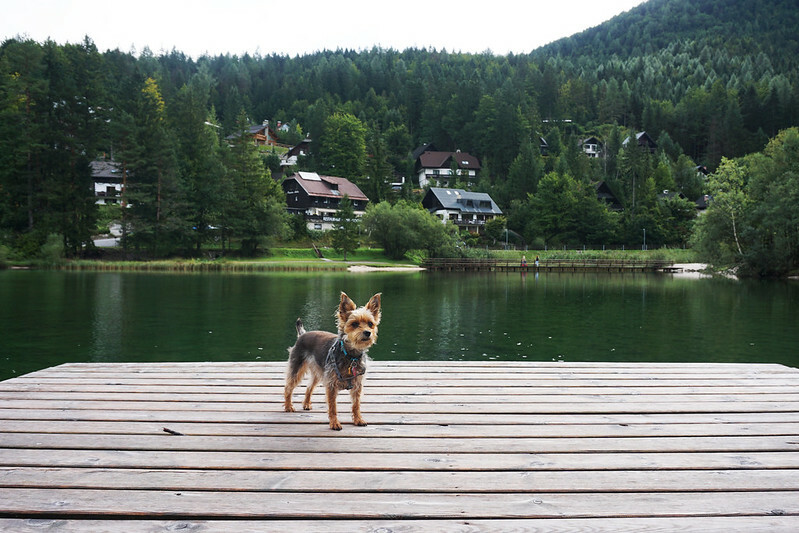 Because some countries are definitely easier to navigate as a with-dog traveler than others, and it’s never a bad thing to know ahead of time what to expect. Below, I’ve ranked every European country we’ve gone to on a scale of one to five (along with an explanation of why I’ve chosen each ranking). One is the lowest pet-friendliness. It reflects a place where I not only had trouble getting around or finding accommodations, but actually felt unwelcome or unsafe with my dog. Two is below average pet-friendliness. Keep in mind that I’m using a European average. Not a US average. If the US were a European country, I’d give it a two overall (though some towns are certainly better than others). 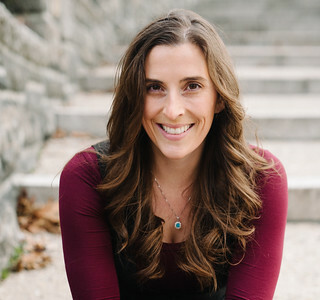 In general, dogs are allowed in a very limited number of spaces in the states, and public transit (especially long-distance transit like trains) usually does not allow dogs, which makes the US tricky to navigate with pooch in tow. Three is the average for Europe (which means at least some restaurants welcome pets, you can get around with your pet and without a car, and the general feeling about dogs is positive). Four is exceptional. These are countries where you can take your dog almost anywhere. Take them to brunch or out for coffee. Take them to pretty much any park in any city. Take them on buses, trains, and in cabs. Find hotels easily. 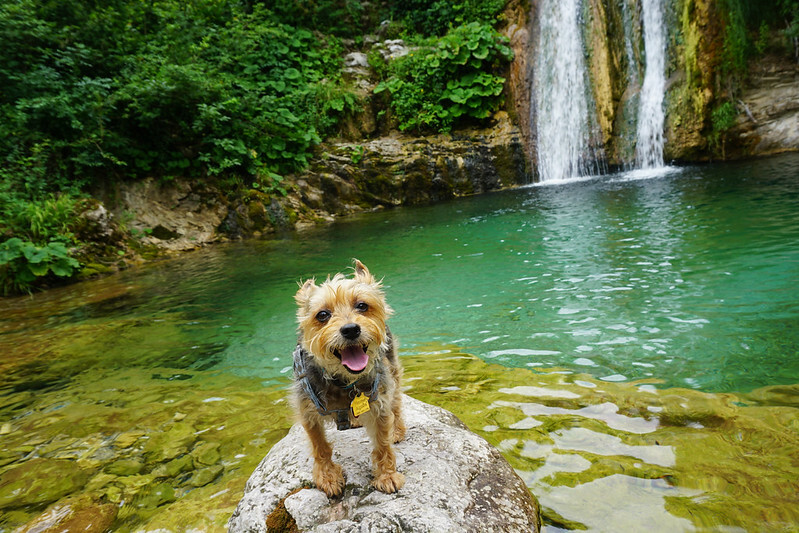 Your life will not be particularly tricky traveling with a dog in these countries. And five means dogs have near-human status. The only place you probably won’t see them is the grocery store. So, based on our experiences in the last six years, which European countries are the most dog-friendly…and which are the least? Waterfalls near Konjic, Bosnia and Herzegovina. Reasoning: I haven’t spent as much time in Austria as I have in some other European countries (probably a cumulative three weeks over the last few years), but when Luna and I passed through Salzburg and Villach, we found both to be overwhelmingly pet-friendly. We were allowed in most restaurants and cafes without issue. Trains are pet-friendly. People were always happy to see Luna. Finding accommodations was always easy. And the only places Luna couldn’t go were grocery stores and perhaps some churches or museums. 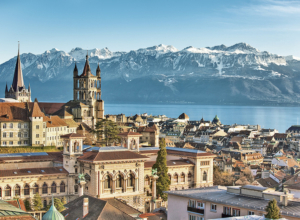 We’re heading back to Austria (Innsbruck) this winter and I expect it to be a really relaxing trip. Reasoning: With several months of our lives invested in Ghent, Bruges, Antwerp, and the surrounding areas, Luna and I rarely ever encountered a place she couldn’t go. Finding accommodation was easy. Transportation was easy.People loved her and cute little grandmas would coo at her at the bus stops all the time. And the only places I didn’t take her were grocery stores, Asian restaurants (which generally don’t welcome dogs anywhere in Europe), and churches. 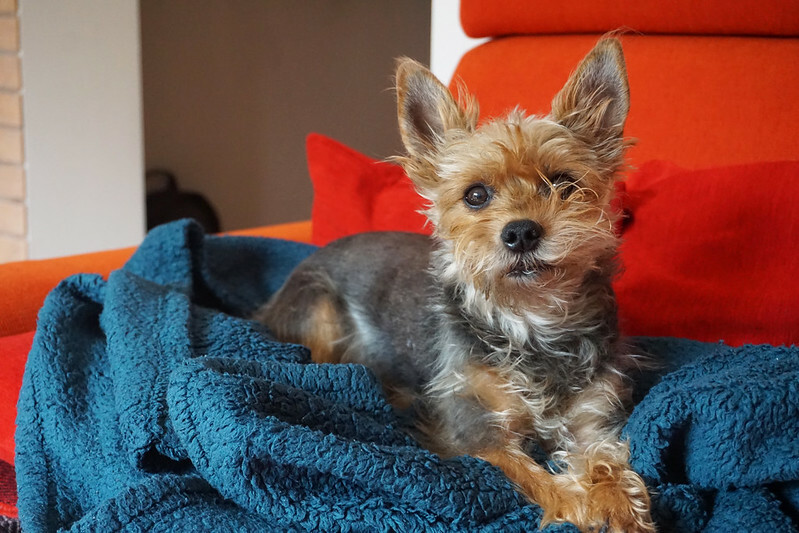 Reasoning: While it was easy finding a good Airbnb that would take Luna and we didn’t have any trouble with the taxis we took across the country, we did run into some major cultural barriers to with-dog travel. The biggest is that while there is a large group of locals who love dogs, there’s also a large group of locals/tourists that hate them. And I don’t mean they walk by and mind their own business hating dogs. I mean they would kick at Luna or jump away from her in an exaggerated manner or stomp their feet to scare her as we passed. We also had trouble with transit (no one seemed to know if dogs were allowed on trains or buses, including the people who worked for said trains and buses, so we were told yes, she could go on the train, but then denied entry when we arrived). Vets here are very nice and well-trained, but have limited access to facilities and medications in case of emergency, and the large group of people who were aggressive toward Luna during our stay (which was scary several times) is really what ranks this country so low for us. Reasoning: Finding accommodations was easy and we saw plenty of happy, healthy dogs out walking with their owners everywhere. We worked with excellent vets when Luna got horribly ill (this is where she got pancreatitis) and they were wonderfully affordable. And I’d say restaurants and cafes were about 50/50. Some allowed dogs; others didn’t. The reason I’ve ranked this a little below average is the transportation. Train transit was fine, but in Croatia trains are limited. And the bus systems typically leave it up to individual drivers whether they want to take a dog. Sometimes this is fine (Luna and I took a bus from Split to Rovinj no problem) and other times it means the bus driver says nope and you’re stranded (which happened to us in Dubrovnik). 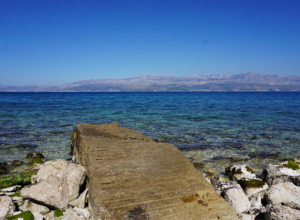 This makes Croatia a tiny bit more of a hassle than your typical European country, though I’d still recommend it (just keep the transit challenges in mind). Reasoning: I wish I could rank Czechia higher. Restaurants were dog-friendly (we even took Luna on a food tour) and transit was no problem. We found our apartment easily. And hiking with Luna in the national park up north was a joy. Reasoning: France is my perfect average. Dogs are welcome in many restaurants and cafes. We were never bothered when we took Luna to fresh markets. Transportation was easy to navigate. And rentals were very easy to come by. Some parks (especially in Rennes and Paris) are not dog-friendly (which is always baffling to me), but overall you’ll find France very easy to navigate with a dog. Reasoning: In general, dog-friendly accommodations, restaurants, and transit are easy to come by. Locals tend to keep to themselves, but the culture is overall welcoming to dogs. Reasoning: In general, we found Luna was welcome pretty much everywhere we went, including on our food tour (and in all the restaurants and cafes on the tour). Finding a hotel in Budapest was easy. We did run into a no-dogs sign at the fresh market, but nobody said a thing to us when I carried her through. The only tricky thing was transit. The Hungarian train rules are a bit confusing (no dogs on any train or car that requires seat assignments according to the website, but that could mean several things), and we kind of crossed our fingers and decided to ask forgiveness rather than permission. Luna’s pretty quiet in her carrier and no one asked about her, but I’m honestly still not entirely clear on which trains she technically was and wasn’t allowed on. A restaurant in Rome, Italy. 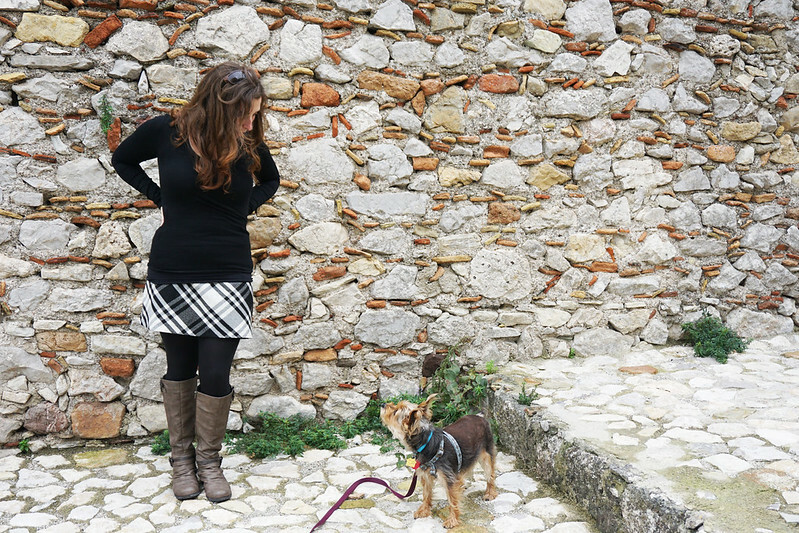 Reasoning: Accommodations, trains, stores, restaurants…it’s all so easy to navigate with a dog in Italy! Not to mention that locals have loved her pretty much everywhere we’ve gone – from Modena to Rome to Sicily. Occasionally you’ll run into something that isn’t dog-friendly, but it’s extremely occasional and Italian culture is extremely forgiving, so nobody’s going to hunt you down to yell at you if you’ve wandered into a no-dogs-allowed covered market. Reasoning: Dog-friendly apartments were easy to find. Hotels were a bit trickier, but we were also there in winter and not as much was open, so summertime might be a much easier task. Transit was also easy (buses never blinked an eye at us). The lovely hiking trails were all dog-friendly. And I took Luna into many restaurants without issue. The one thing that does make Malta a little trickier is its location (an island south of Italy), which means to get there you’ll need to fly (and the maximum size allowance I’ve been able to find in cabin for Malta is 20 lbs, so any bigger dogs will have to brave cargo). You’ll also need a special vet visit to get Malta health approval in your pet passport a few days before travel (and then another health certificate to leave). Napping besties, the mountains above Mostar, Bosnia and Herzegovina. Reasoning: I only spent a couple weeks in the Netherlands, so take this one with a grain of salt. It might actually be a 4 on my scale. Accommodations and transit were super easy with Luna, but navigating the exceptionally busy streets of Amsterdam was a challenge just because of how many people and bikes were everywhere. Reasoning: Romanians love dogs. Train travel was simple. Local buses didn’t bat an eye at us. Our vet was great. And finding apartment rentals was easy. 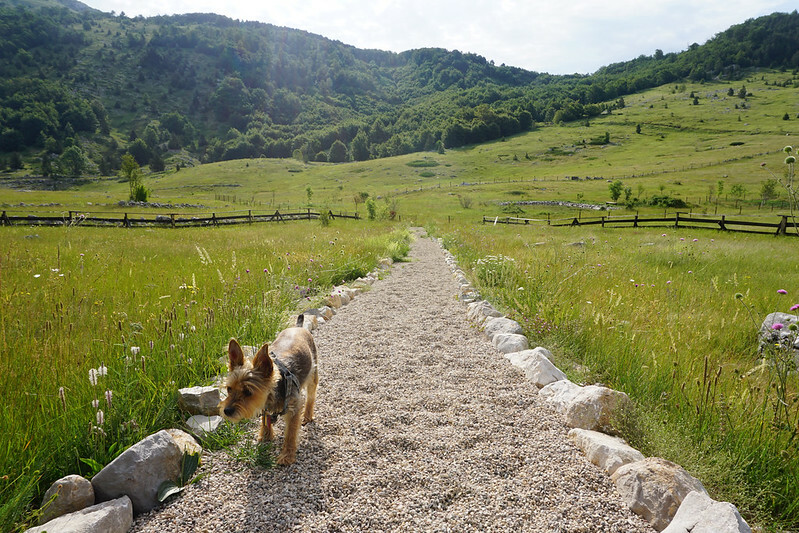 We did have trouble finding hotels (honestly, the most trouble I’ve had anywhere in Europe), so that pushes it a bit below average, and the vast majority of restaurants and cafes in Brasov were not dog-friendly, so expect to eat on patios or leave your pooch behind. I did have one bus driver tell me they normally don’t take dogs, but no one else ever said anything and even that bus driver told me I could stay on anyway. Reasoning: Finding accommodations was pretty easy, but I encountered a lot of no-dogs signs on restaurants, stores, and cafes and the bus systems in Spain are generally unfriendly to dogs. We were forced to take a car service along the coast because no one would transport Luna via bus and there was no train option. It’s also worth keeping in mind that there’s a very toxic caterpillar in the south, so it’s worth researching times of year to visit and avoid that little guy. I didn’t feel unsafe with Luna in Spain overall, but it’s a much bigger hassle to travel there with a dog than it is in most parts of Europe. Reasoning: Transit is pet-friendly. Hotels and apartments are easy to come by. 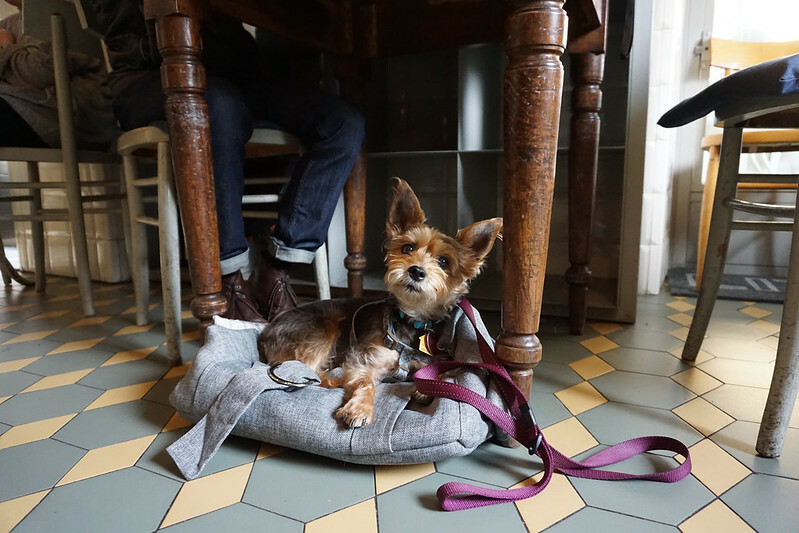 Restaurants and cafes are usually fine with dogs. I don’t think I’ve ever seen a No Dogs Allowed sign on a public park. And take a dog to the pub and you’ll be the most popular person around. The only places you won’t see pets are grocery stores, Asian restaurants, and maybe churches. Reasoning: Ever so slightly more dog-friendly than the US, the UK is good with transportation (trains take dogs, no problem) and dogs are often allowed in pubs. 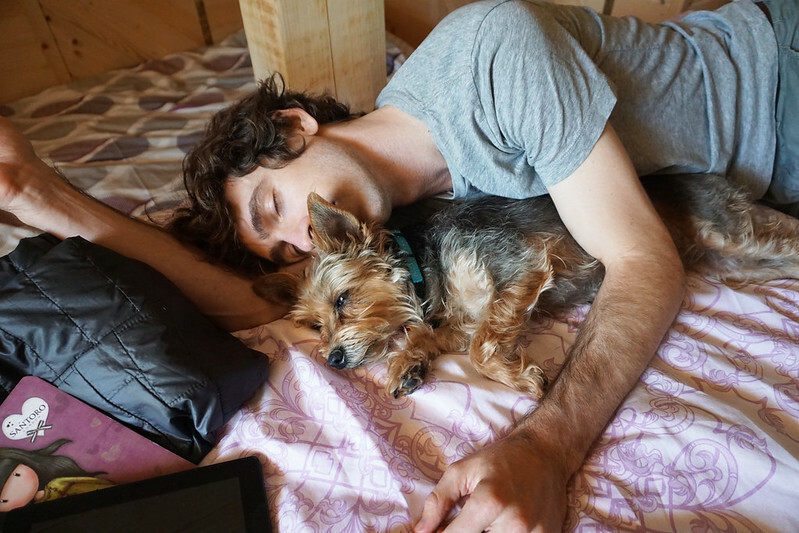 However, I did have a tricky time finding accommodations for a with-dog traveler in a reasonable price range (it’s an expensive place and a lot of the budget options were no-dogs). Getting to the UK is also tricky (only ESAs and guide dogs can fly in-cabin on the airlines, there are no pets on the Eurostar, and only a select few ferries allow dogs). And it mirrors the US in that restaurants do not allow dogs inside. So expect it to be a tiny bit easier than traveling within the US with a dog, but not by much. In a fortress above Taormina, Sicily, Italy. Now, to you: What have your experiences been like across Europe? Which countries feel particularly dog-friendly to you? Great overview. We just traveled with our beagle for 8 months around Europe but we bought a car so didn’t have to navigate public transport. Slovenia was great about access and acceptance. UK we went back and forth (4 times) via chunnel and it was very easy but as you know making sure you have everything fully correct on the pet passport is vital. We had great vets give the worming (1-5 days prior) in Brittany and Holland but had some issues as one vet wrote the date incorrectly. The chunnel people called a local vet in Calais and we raced down to him. He redid the main page with date corrected and we were able to get onto the next chunnel. While it was a hassle and “silly” in that everyone knew it was a written error, all were friendly and helpful. 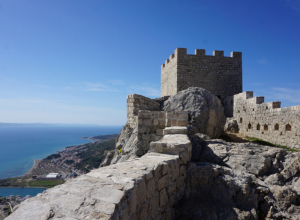 We spent 3 months in Spain and no problems with the dog — drove up and down both sides too. Sorry you had negative experiences there. Yeah, a car makes a big difference in places like the UK, Spain, and US! Aw I would’ve thought 4 for Germany. Obviously I don’t have a dog so I can’t compare, but everywhere is so dog friendly (including the Asia restaurants we frequent) & there are dogs at every park I’ve seen. Tempelhof, the park that used to be an airport, has 3 huge off-leash sections. Because it’s Germany, people take their dog training super seriously, so they don’t like you to just pet their dog without asking…I’ve been yelled at for that before! But it’s so cute to watch the dogs run ahead of their owners (because they’re almost all so well behaved off leash) and then stop at an intersection because they know not to cross the street alone. I haven’t spent quite as much time in Germany as most of the other places on this list, so it may very well be above average! What an interesting overview. As always, your blogs are a pleasure to read. As to France not allowing dogs in parks, I’m surprised you’re surprised. Having lived in France on several occasions, I quickly learned it’s a country that does not believe in picking up after their dogs so the plops of dog droppings are everywhere. How nice to know you could go into a park and sit down and not regret it. Wishing you continued adventures with Luna, and thanks for sharing them with us. In other ways, it’s so dog-friendly, so that’s where it’s always a head-scratcher for me. You’d think pick-up-your-poop signs and perhaps fines would do the trick if that is the primary concern. Great list! But I’m curious if you observed any differences between the way large dogs were treated compared to small dogs. Even in the US, small dogs are welcomed in more places than large dogs. A difference, yes, but not nearly as big as the US. In Europe, I’ve definitely big dogs in stores and restaurants, so I think dog-friendly means dog-friendly across the board. The one place I’ve seen a difference is in transport. 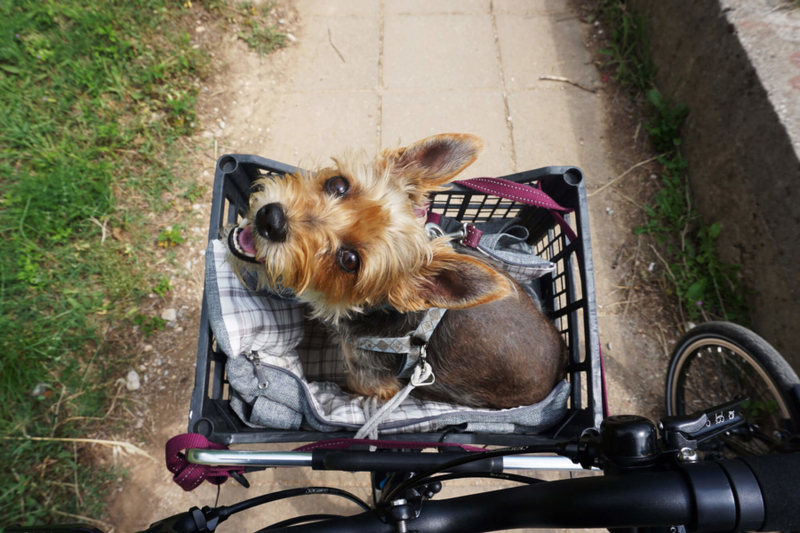 Small dogs can often travel free in a carrier or in someone’s arms, where large dogs may have to travel for a fee since they’re usually not in a carrier. And dogs outside carriers may be required in some places to wear muzzles. I have travelled with my dog from Finland to France and I must say that I really like Polish pet friendly hotels. They are cheap but are highly rated and they accept dogs (sometimes 4/5* hotels don’t accept dogs). As I travel often with my dog I have a question for you. Have you ever been worried that somebody can kidnap your dog? Hopefully you can find some dog-friendly places. I will say that if it’s nice outside, I think a lot of patios/outdoor seating still allows dogs in Spain. I just found an unusual number of places did not allow dogs inside the restaurant. To your question, yes! Leaving her outside or in the car scares me. Currently I travel with a partner, so it’s rare that I run into problems. When I need to do a quick grocery run while we’re out, he’ll stay outside with her and then we’ll switch. But when I was traveling alone, I did a lot of taking her back to the apartment and then going back out to do a grocery run. Oh my! Kicking and stomping at a dog! That must have been scary for you and Luna. Thing is if someone did that to one of my dogs, it would mean raised heckles and probably a growl – from me! So won’t be going near Bosnia & Herzegovina anytime soon. Shocking that some vets in Czechia refuse to treat dogs if the owners don’t speak Czech! Rude and totally unprofessional. I would have thought the UK would have scored higher, having spent a lot of time living there (although more in the countryside and many years ago) I always thought they were a super dog-friendly place. Pity they don’t make it traveling to the UK easier for with-dog folks. 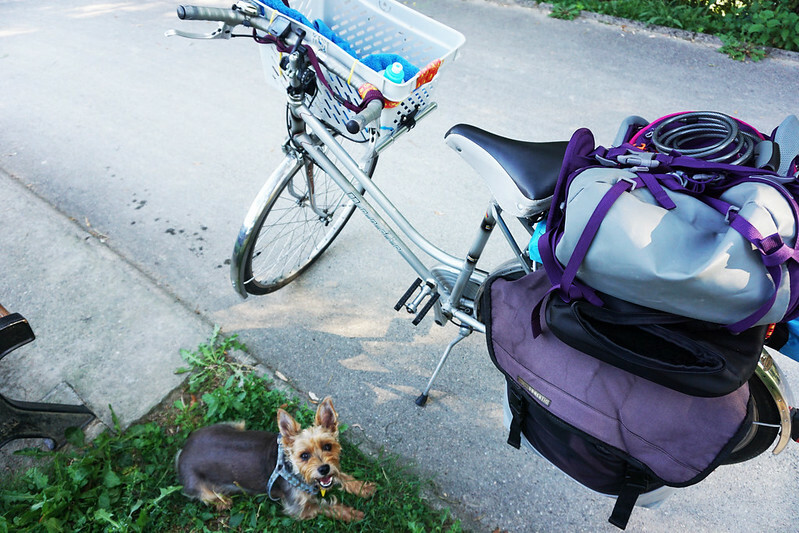 We’ve been traveling Europe with our two Yorkipoos since January 1. This post is so helpful! We only did a drive-by, really, through Spain with a week in Madrid and a few days in Barcelona, but we loved it. After weeks of being denied entrance to restaurants in Lisbon, Spain was a delight. Google SrPerro and it will take you to a website where you can find dog-friendly establishments. We actually ate a multi-course meal in a Michelin-rated restaurant with our pups on our laps. That was a first for us! We’ve also had better luck in Croatia (where we are now). They’ve been welcome inside almost every restaurant with us. We do miss Italy, though, which was much easier. I’m now feeling more excited about our next travels after reading this. Thanks! Oh, thank you for the SrPerro tip!